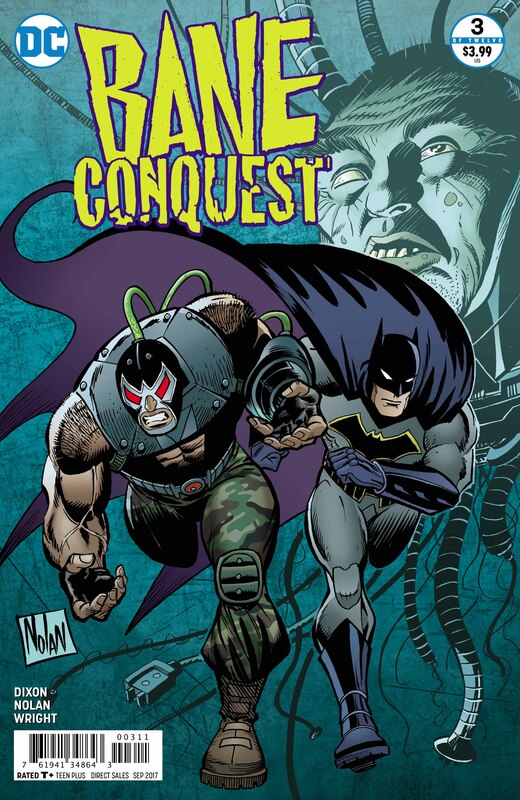 Better take a deep breath, because Chuck Dixon and Graham Nolan won't allow you a moment to breathe in the action-packed Bane: Conquest #3. So far, Chuck Dixon and Graham Nolan’s Bane: Conquest has been a fantastic series, checking all the boxes and delivering on all its initial promises. 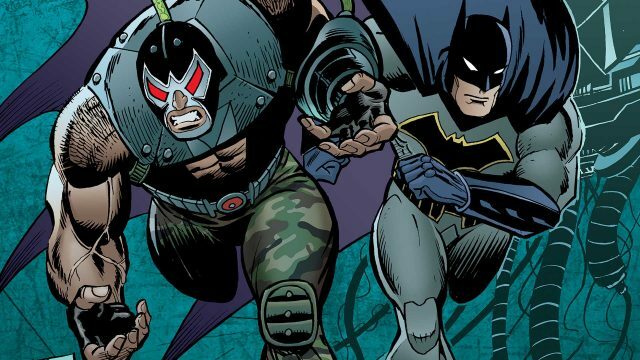 Now that we’ve settled in and gotten used to the idea of Batman and Bane teaming up, it’s time for another spanner to be thrown into the works. Did you really think that the villain would play nice with his longtime adversary? The Dark Knight and his Venom-loving associate agree on a pact: they’ll collaborate (for now), with Batman searching for Dionysus and Bane drawing out Damocles. As expected, the muscleman destroys all his opponents, killing without remorse and breaking Damocles in the process. When he joins up with the Caped Crusader, however, the Santa Prisca monster wants to kill Dionysus, which is something that the Bat will not allow. This leads to a brawl between the two of them, and Dionysus escapes. 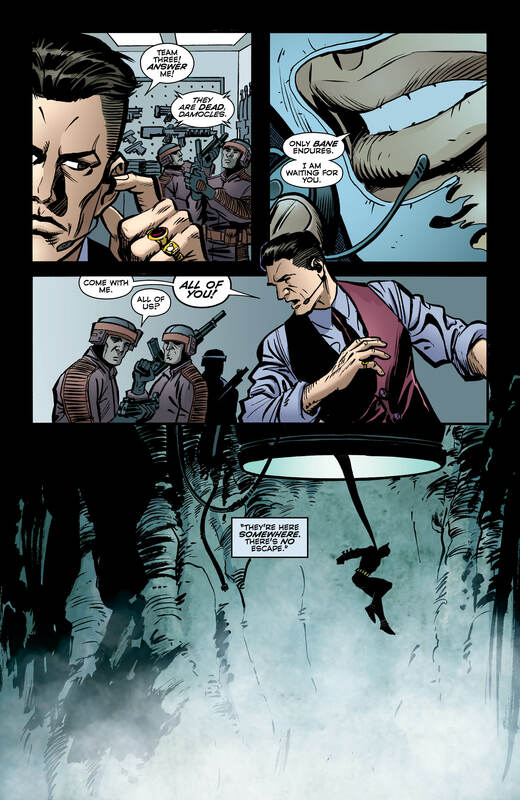 Bane gives chase and eventually captures his target. Dionysus cuts a deal with him, though, and lives to see another day. The outcome of this deal will play a pivotal part in the rest of this series, undoubtedly. 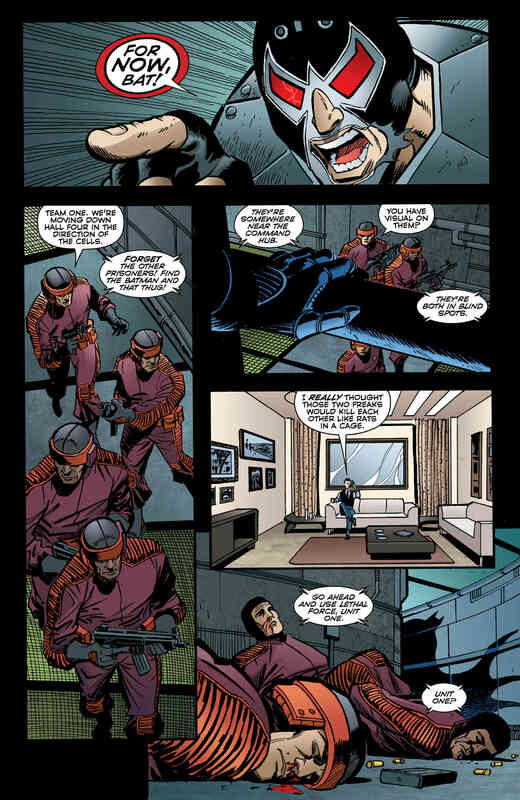 While the last two issues have focused on building the story, this one is almost entirely about the action. I don’t know about you, but I welcome a bruising book every so often, with this one leaving a few black and blue marks behind. Not only do you see Bane take down a bunch of poor, hapless guards and Damocles, but you also see him go toe to toe with the Bat in a rematch from “I Am Bane.” The Santa Prisca bruiser has battled foes for over two decades now, yet Uncle Chuck has somehow freshened up his arsenal and introduced new moves in his repertoire. Apart from the action, I’m happy that Dixon has revealed Dionysus’s identity here, rather than stretch out this mystery foe for a couple more issues. This way, we’re able to move onto the next part of the story and keep up the rapid-fire pace. Sure, there are still nine more issues to come in this series, but it’s good to see that they’re not wasting time with the reveals and fillers. As wonderful as Dixon’s writing is, it would be all in vain if Nolan didn’t subscribe to the same vision. Thankfully, he does, bringing the battles and energy to life on these pages. 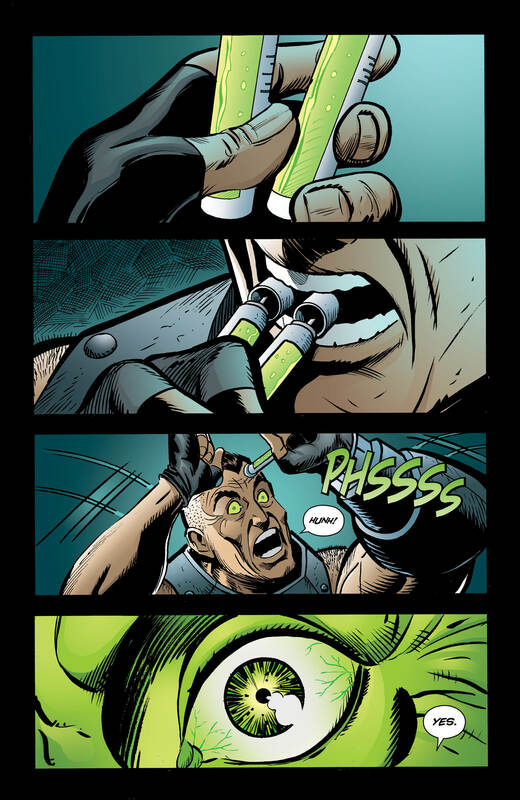 The first four panels immediately set the stage for what’s to come and you know that Bane is about to go berserk. And when he does, you can see that Nolan is in his element illustrating it. 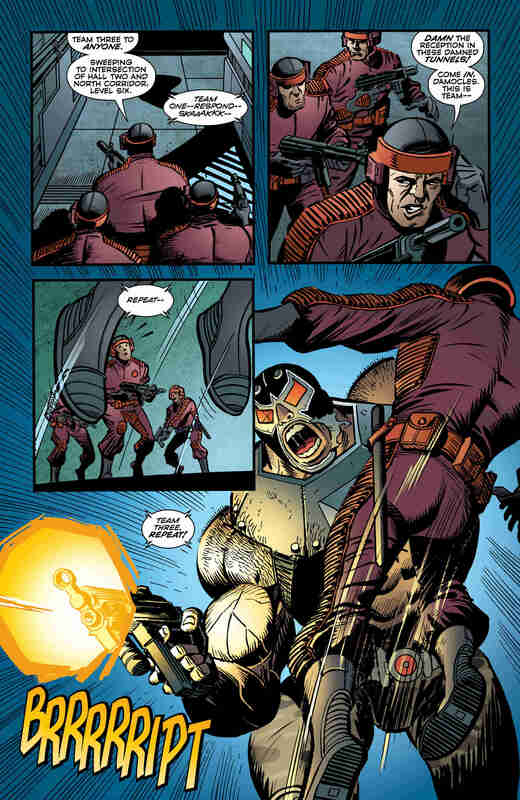 No one does action quite like Dixon and Nolan, and Bane: Conquest #3 is testament to this. 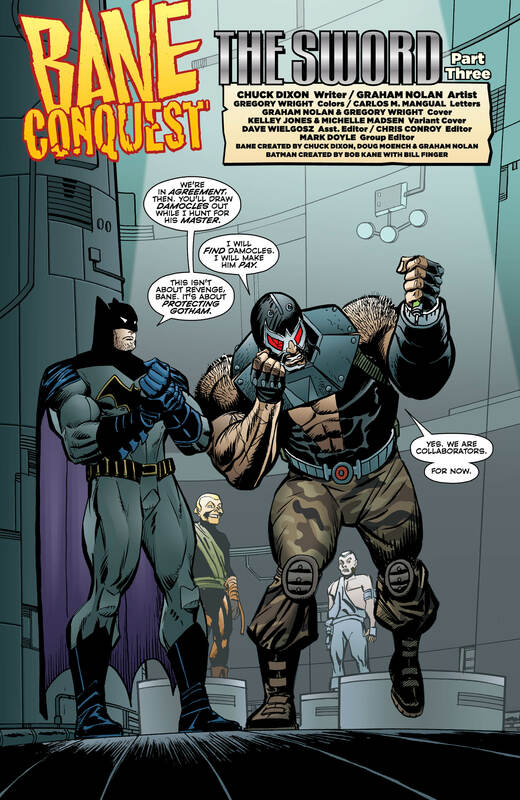 At the same time, they’ve established that Bane will never be a good guy, and you can only trust him as far as you can throw him – considering his size when he’s on the juice, I doubt you could even pick him up. The next issue promises Catwoman, and knowing her romantic relationship with Batman, it should prove to be an intriguing continuation of this tantalizing tale.